Are there any special requirements to package and deliver goods for export? What is the harbor maintenance fee? How is it used? What are pre-shipment inspections and when are they required? Who carries out the pre-shipment inspection and who pays? Are any special certifications required for food and agricultural products? Where can I find air and ocean carriers and schedules for a specific location? What cargo insurance do I need and where can I get it? What services do freight forwarders provide and how can I find one? What are some common export documents and where can I find samples? What is the ATA Carnet? What coding systems are used to classify products for export and import? What's the difference between U.S. Schedule B and HTSUSA codes? How do I determine my HS, Schedule B, HTSUSA or SITC codes? What are SIC and NAICS numbers, and where can find them? What are Incoterms and how do I use them? What are EIN, VAT, RFC and BN numbers and how can I obtain them? What is a freight forwarder, what services do they provide and how can I find one? What are some resources that can help with exporting U.S. food and agricultural products? Is the metric system required for export labeling? How can I learn about metric labeling requirements and other labeling standards? 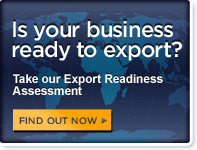 What does export insurance usually cover? What is a Harmonized System (HS) classification number, the Schedule B number, and it there a difference between the two numbers? Why do I need HS/Schedule B numbers and how can I find them? Why do you need to know your product’s Schedule B and HS numbers? How do you identify your product’s Schedule B and HS numbers? What’s the difference between the Schedule B codes (for exports) and the Harmonized Tariff Schedule (HTS) codes (for imports)? What foreign trade barriers might affect my access to particular markets? How do I avoid paying foreign duty and tax on goods to be returned to me? How do I move my goods duty-and tax-free under a Temporary Import Bond (TIB)? What is a Foreign Trade Zone (FTZ)? How can I determine the tariff rate for my product? Is there a tariff (duty) that applies to my product in a foreign country?